On the cover of Van Halen's 1978 eponymous debut album, Eddie Van Halen thrusts his black-and-white striped instrument towards the camera as if he's showing you the future. He played this guitar on his unprecedented and mind-blowing instrumental track "Eruption", hence its nickname, and sure enough, this monumental instrument quickly became a timeless icon. 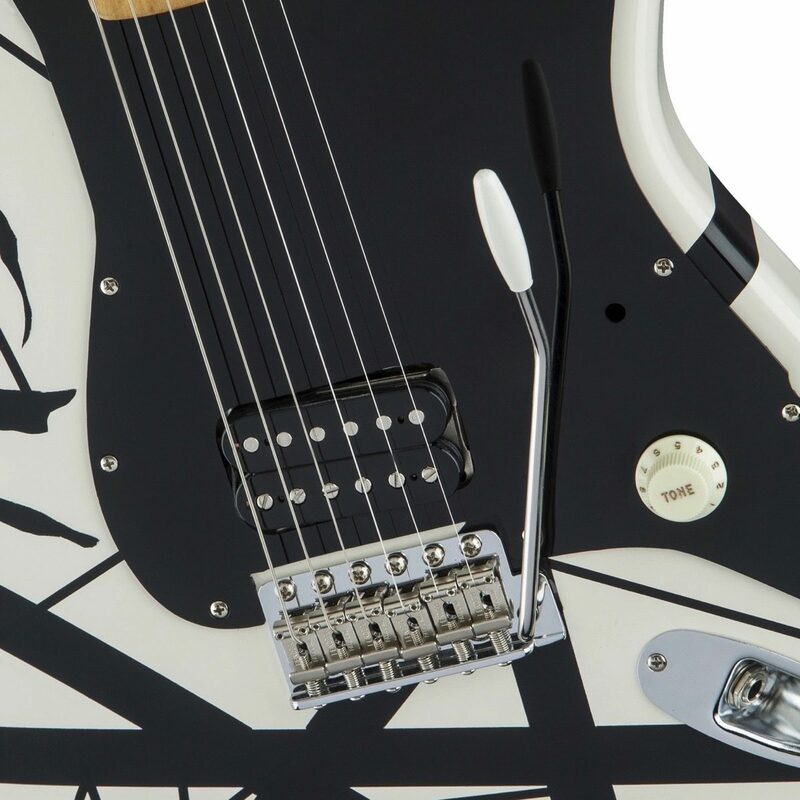 To celebrate the 40th anniversary of this instantly recognizable axe, EVH Gear is offering a limited 40-piece run of the EVH '78 Eruption guitar as it appeared in its original pristine condition, prior to Van Halen embarking on its first-ever world tour. 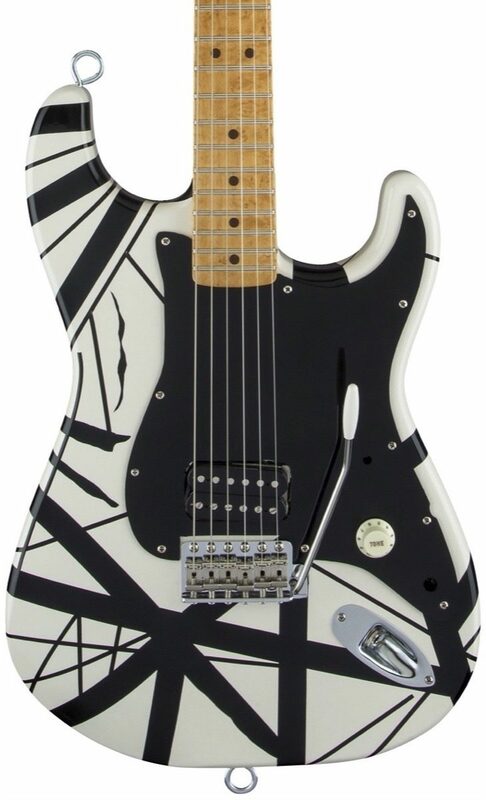 This EVH Eddie Van Halen 78 Eruption Van Halen Electric Guitar features all of the original specs including an ash Strat body, bolt-on maple neck with oiled neck back finish, straight 12" radius maple fingerboard with katalox dots, black side dots and 21 jumbo frets, hand-cut black pickguard, EVH Frankenstein humbucking bridge pickup, vintage Fender Stratocaster bridge with Kluson brass block and Schaller tuning keys. 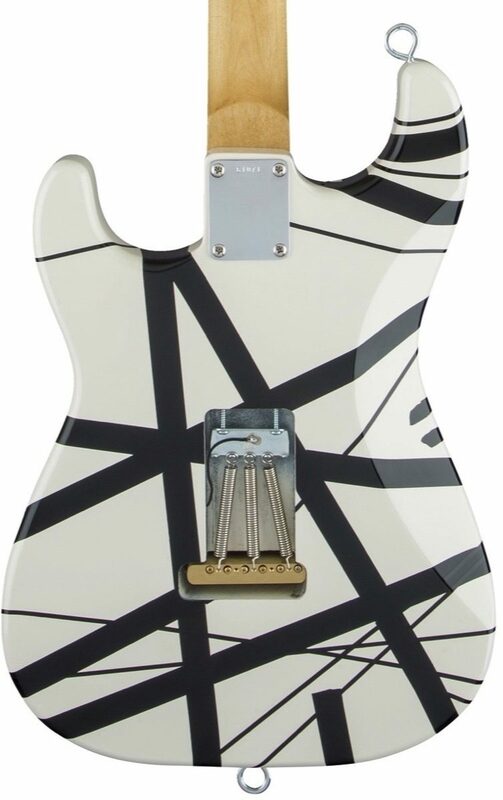 Its white-with-black stripes motif paint job paint job is stylishly finished off with eye-screw strap hooks and a 61071 stamped neck plate. 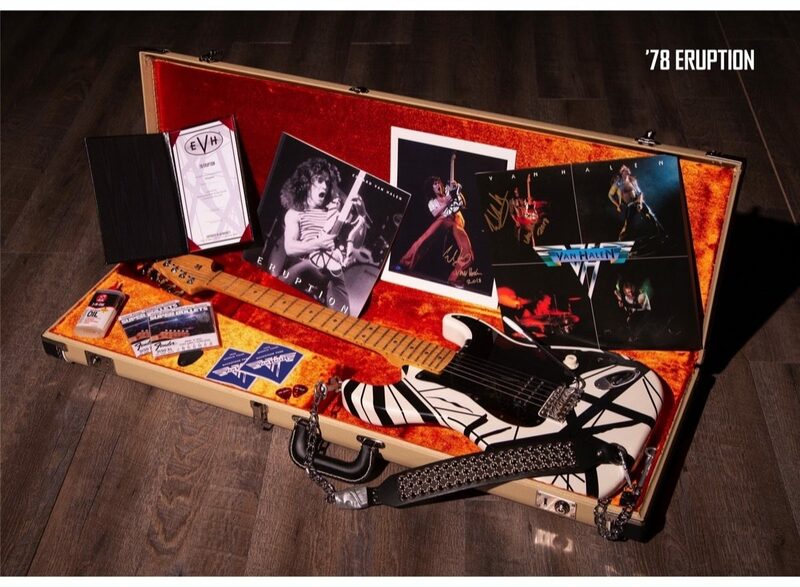 In homage to this pivotal period, EVH has also recreated Eddie Van Halen's original G&G case and loaded it up with the very items used by him at the time, such as '70s-era Fender Super Bullets strings, Van Halen '70s tortoiseshell picks, '78 chain strap and 3-in-One oil can. This model is also accompanied by an exclusive collector's booklet, a backstage pass vinyl cloth sticker, 1978 concert photo of Eddie Van Halen, signed certificate of authenticity and an autographed vinyl copy of Van Halen. - Limited to only 40 pieces worldwide and everything that a true enthusiast would want.